What that, it’s almost February already? Well, as we surge ahead into 2019, we’ve once again trawled through all the upcoming solicitations to pick out some of the new comics that we’re most excited about getting our hands on next month. So feast your eyes on our picks below, and feel free to let us know of your own recommendations in the comments. 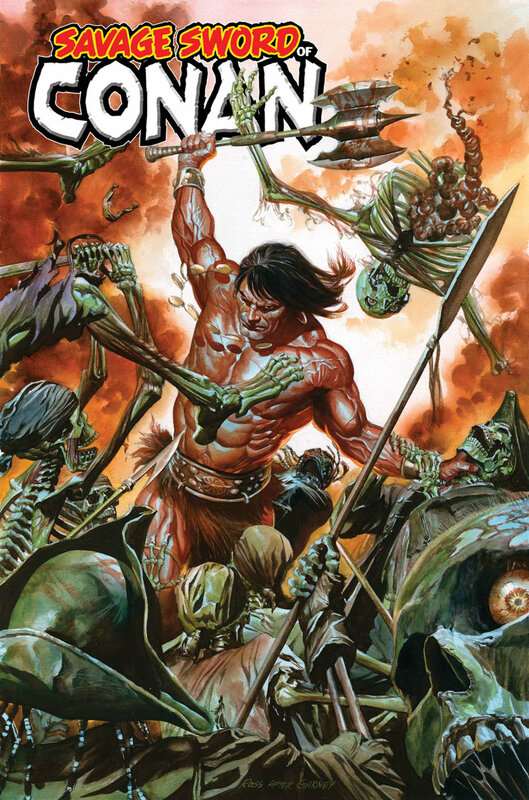 Hot on the heels of Jason Aaron and Mahmud Asrar’s Conan The Barbarian, comes a brand new Conan series from the creative partnership of Gerry Duggan and Ron Garney. Featuring Conan being captured by pirates, the new five-part series looks to the absolute business, and is an easy recommendation to kick off this month’s list. 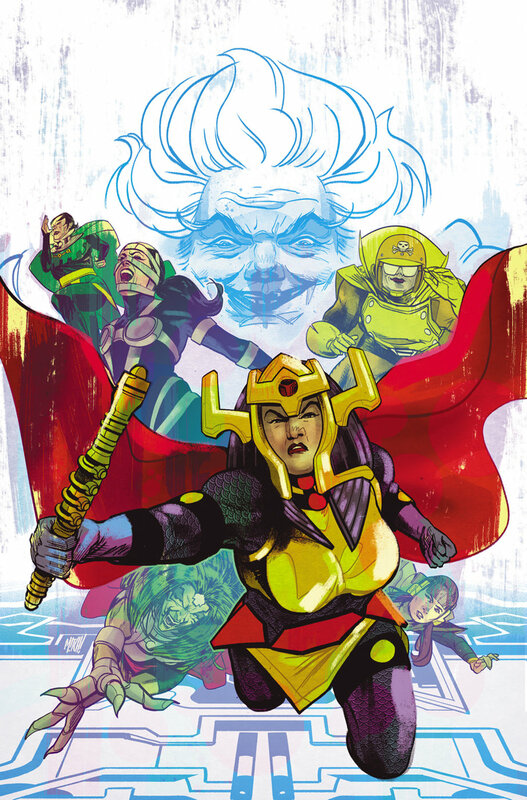 Boasting a lineup of Jack Kirby favourites like Big Barda, Aurelie, Mad Harriet, Lashina, Bernadeth and Stompa, this new all-woman team book from writer Cecil Castellucci and artist Adriana Melo is definitely worthy of your attention this February. Pretty much any time AfterShock Comics announce a new series, we sit up and pay attention. Which is why this blend of cosmic horror, high adventure and tragic romance from writer Phil Hester and artist Ryan Kelly looks to be well worth a look when it goes on sale midway through next month. Okay, so it’s not technically a new series, but Alex Ross and Kurt Busiek’s MARVELS is nothing less than an absolute classic, so the prospect of seeing it completely remastered with bags of extra content is simply too good for us to pass up on. Celebrating the 25th anniversary of the series that changed the way we look at super heroes, the landmark MARVELS is back! In the year 1939, young photojournalist Phil Sheldon attends the sensational unveiling of the fiery android Human Torch — little knowing he is witnessing the dawn of the Age of Marvels! We’re huge fans of Valiant’s rich and exciting universe, but we’re also aware that it can sometimes feel a bit overwhelming to new readers. 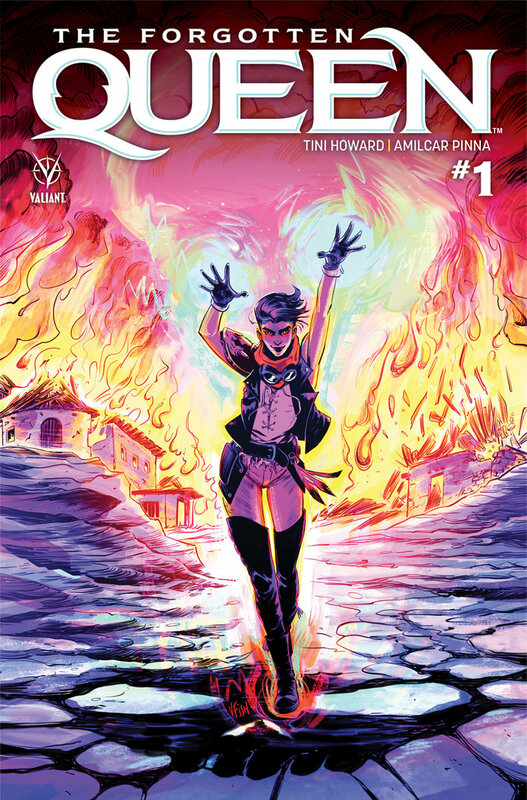 Which is why we simply couldn’t help but recommend the first issue of this new four-part series from the supremely talented Tini Howard and rising start artist Amilcar Pinna as a perfect stand-alone read. What’s that, you say? Two new AfterShock series going on sale this month? 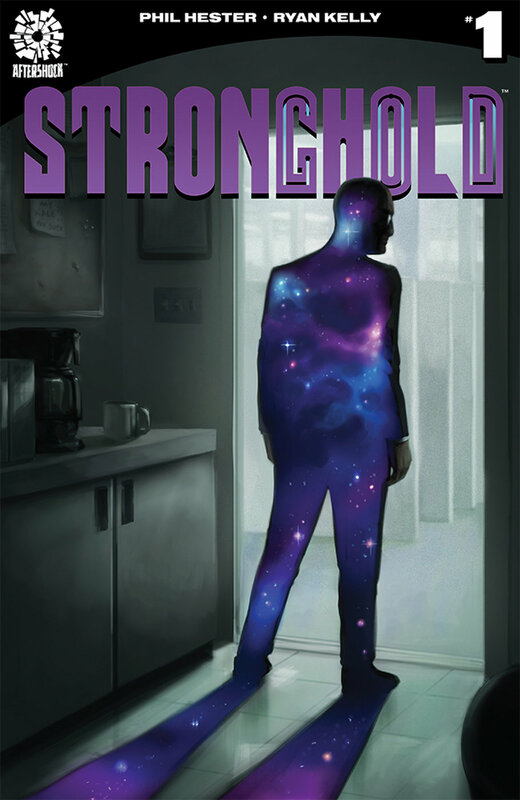 Don’t mind if we do, especially when this new book from writer Ryan Parrott and artist Milos Slavkovic looks and sounds as interesting as it does. 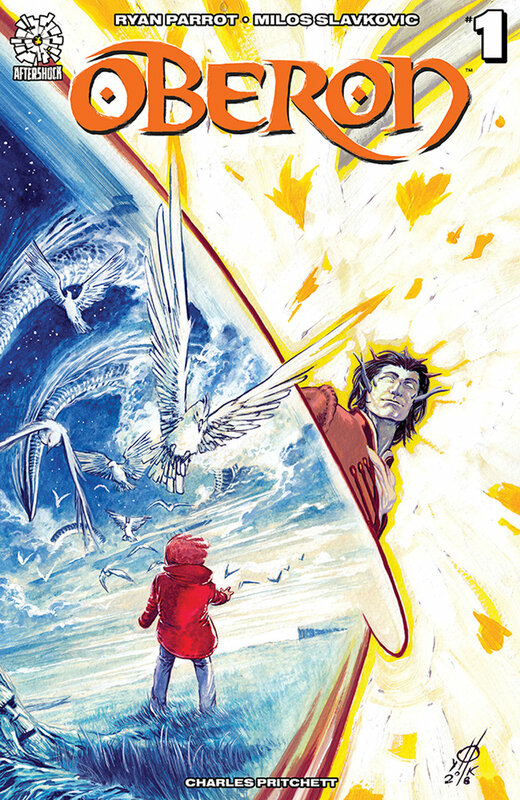 From writer Ryan Parrot (VOLITION) and artist Milos Slavkovic, OBERON is a new supernatural adventure proving once and for all that fairies should never be trusted. What’s better than the prospect of Marvel revitalising this long-forgotten ’70s Western cult classic series? How about the knowledge that it’s coming from the Stray Bullets’ partnership of David & Maria Lapham, and talented artist Luca Pizzari. 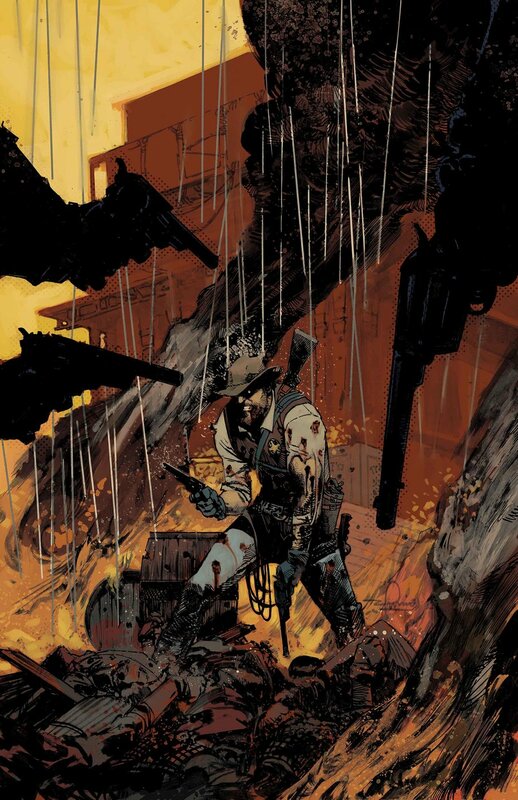 Bit of a wild card perhaps, but definitely one worth keeping an eye out for this Feb.
For Marvel’s 80th anniversary we’ve set our sights on bringing some old titles back into the herd, and we’ve brought in Stray Bullets” David & Maria Lapham for a bullet-riddled saga of violence, vengeance and Western justice. In the days of the Old West there were plenty of fearsome folk… cowboys, rustlers, lawmen and outlaws…but few were as fearsome as THE GUNHAWKS! Okay, so this one’s probably cheating, because we’ve technically already read it. But after absolutely loving the first issue of J.M. 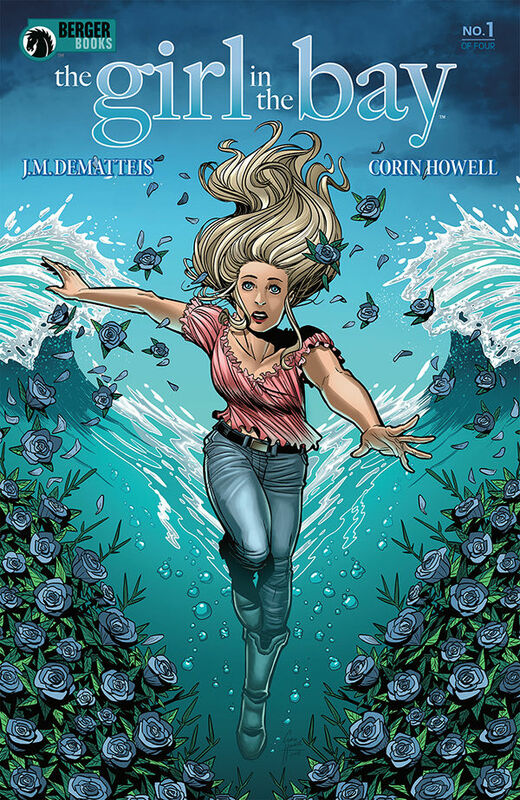 DeMatteis and Corin Howell’s tense supernatural thriller (CLICK HERE FOR OUR REVIEW), we simply had to share it with the rest of the world. In 1969, seventeen-year-old Kathy Sartori was brutally attacked, her body hurled into Brooklyn’s Sheepshead Bay. Miraculously, she survives and fights her way back to the surface, only to discover that fifty years have passed and an eerie doppelganger has lived out an entire life in her place. Kathy soon confronts not just this strange double, but the madman who ”murdered” her five decades earlier. Will he, and the dark entity that lives inside him, hold the key to Kathy’s missing years? Or will Kathy become a ghost of herself, forced to live out what remains of her life on the edge of the world that she desperately wants to be a part of?